The effects of exercise on the innate response are primarily mediated by the SNS (sympathetic nervous system) and/or the HPA (hypothalamic-pituitary-adrenal) axis and by stress proteins such as Hsp72. 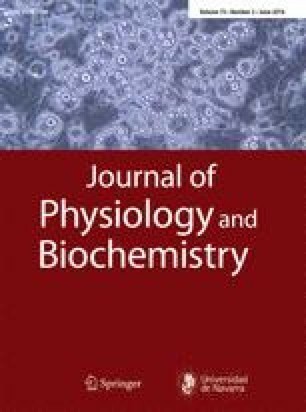 Regular exercise can induce immuno-neuroendocrine stabilization in persons with deregulated inflammatory and stress feedback by reducing the presence of stress hormones and inflammatory cytokines. Anti-inflammatory and “anti-stress” responses seem also to be induced (paradoxically, opposite to the effects in healthy persons) after sessions of exercise, being a promising strategy for treating certain inflammatory pathologies. Nevertheless, the biomedical side effects of exercise are also needed to be considered. This article defines the “Bioregulatory Effect of Exercise” to be one that reduces or prevents any excessive effect of inflammatory mediators and stimulates (or at least does not impair) the innate defences (i.e. chemotaxis, phagocytosis, and microbicidal activities) against pathogens. It also generates immunophysiological adaptations through an optimal balance between the pro- and the anti-inflammatory responses. These effects are mediated via immuno-neuroendocrine interactions. This review analyses concepts and conclusions related to how exercise affects the innate and/or inflammatory responses and discusses some paradoxical interpretations relevant for the practical use of exercise in treating infectious and inflammatory diseases. A potential role of exercise as hormesis strategy and the concept of exercise immunization are also discussed. I thank Dr R. A. Chatwin for his critical review of the English and Junta de Extremadura-FEDER (GR15041).